Road and Transport Authority (RTA) decided to starts an online service which will help the car buyers to get the complete vehicle service history for AED 100. 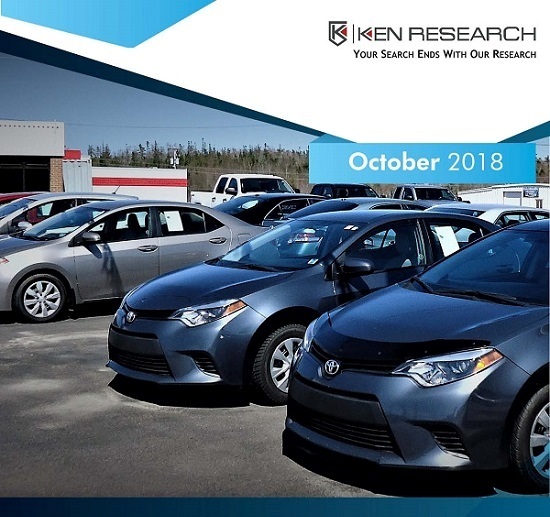 According to Ken Research report titled “UAE Used Car and Auto Classified Market Outlook to 2022 – By Revenue Streams (Commission, Paid Listings, Banner Advertisement), By Export and Domestic Sales” most car dealership exist in clusters, however the big players in the market have expanded outside their clusters in order to reach out to the customers easily. Prices, value added service, and brand reputation are expected to continue to remain the key parameters for deciding the market leader. Other factors that are expected to have positive impact on the revenue generated in the market include demand for antique and supercars in domestic market, easy availability of financing and declining age of used cars. The market for used car is in consolidation phase in UAE. It has witnessed a positive CAGR in the past five years (2012-2017) even though the new car sales have followed a dome shaped curve. The growth was mainly driven by improving quality of used cars, better post sales services and improved documentation assistance for large number of expatriates and others factors. The passion for cars especially in antique and super/luxury car segment in the country is one of the biggest reasons that more players are entering the market. The market witnessed entry of few new players which has altered the competitive landscape in the last few years. The market is driven by both domestic as well as export sales. The share of export of sales is more than domestic sales. In domestic sales, B2B/B2C dealership has the majority share while Crossover has the majority of used car sales volume. Japan based manufactured cars contributed the largest sales. There have been a number of regulatory changes such as implication of VAT that has impacted the market. Some of the key challenges that exist in the market such as price discrepancy, lack of standardization poor knowledge about history of car, lack of access to professional help for evaluation are being in the process of elimination and it is expected to have positive impact on sales of used cars. Sellanycar.com, Al-Futtaim, Arabian Automobiles, Al Naboodah, Elite Cars, Al Tayar, Carswitch.com.